A superior guitar will go beyond just long sustain - it will have long sustain with a smooth decay. Smooth decay is accomplished by balancing the fundamental note and the overtones, with neither part of the tone dominating the other. With this kind of sound, you can add a quality of expressiveness to your music that will sweep your listeners off their feet. Although inspired by the great instruments of Antonio Torres, Hermann Hauser, and Santos Hernandez, my classical guitars go far beyond the original bracing patterns. I have built historically accurate replicas of lutes and vihuelas, and I have studied, repaired, and restored 19th- and 20th-century guitars by many famous makers. 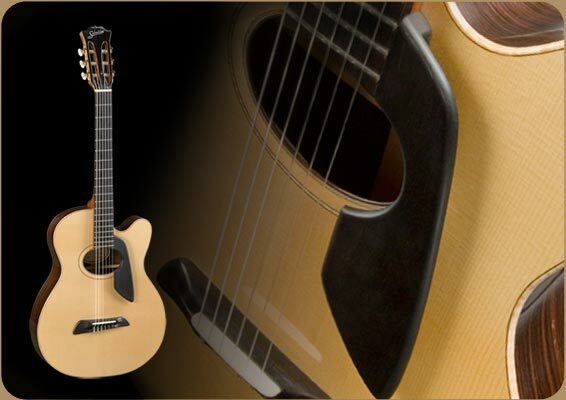 Using all these studies, I was able to create what I consider a logical evolution in soundboard and bracing design, to bring the classical guitar solidly into the 21st century. Advanced classical guitar players have told me that I have achieved surprising warmth and projection, even tonal change from string to string, and strong projection. The instruments are traditional in appearance and lightly built, with a crystal-clear clarity of sound and an extremely rich bass with a piano-like attack. (I reserve an even more percussive bass for flamenco guitars.) Owners have referred to the sound as a romantically sweet treble with basses that are crisp and incisive. The carrying power of the treble will allow your music to sing as never before. Ready for the Pure Balance? "He's a godsend. I have Ramirez (guitars) and he's done major surgery on them. I've never given him anything he couldn't do. He takes pride in his work, he's not just turning it out to make a buck. That's a special gift.""